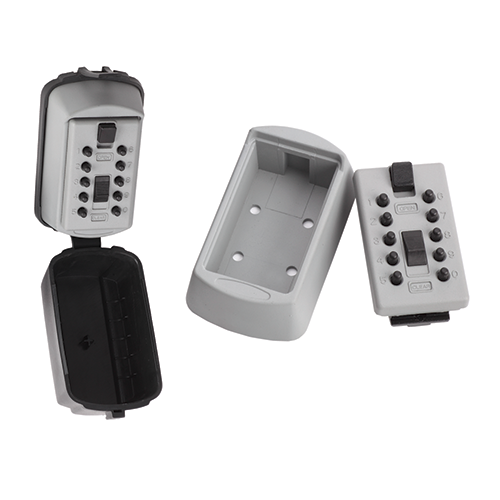 The "Secura Key" is a small wall-mounted push button operated safe, used for storage of a small number of keys to be accessed by authorised personnel. The combination is very simple and quick to change to your own code, with a combination from the ten digits 0 - 9, using any digit only once. It is suitable for mounting to a flat surface of brick or stone or to a timber door frame. Holds approximately 3 - 4 "Yale" keys or 1 - 2 "chubb" keys. Supplied with rubber cover for weather protection. This safety item is a quality product which is extremely helpful to organisations such as home carers, health workers who need to gain access to the property when the occupier is unable to answer the door.